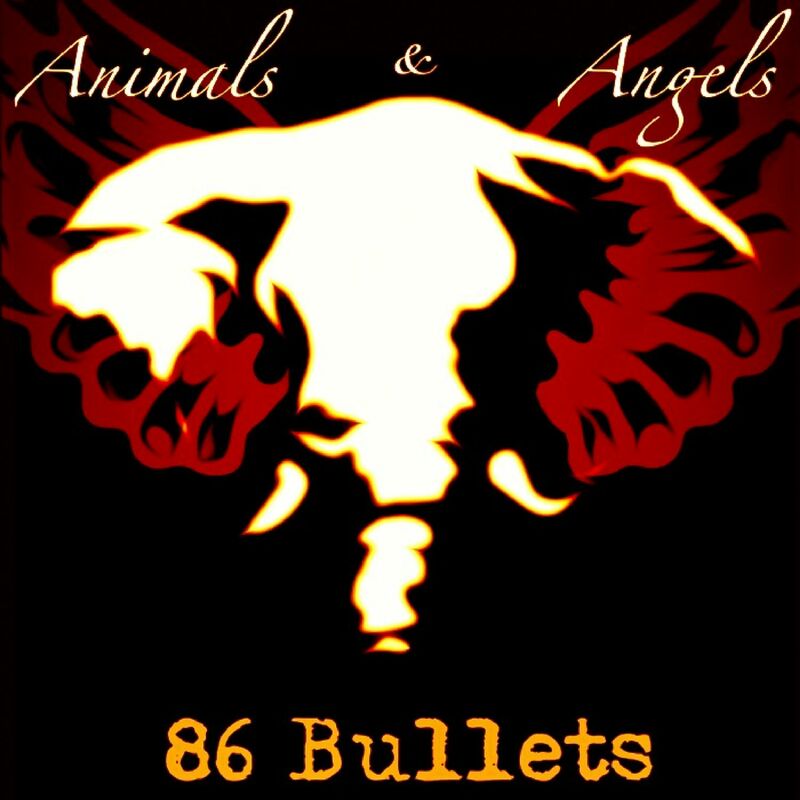 Maryland Melodic Hard Rocker 86 Bullets return with their latest release Animals & Angels the follow up to the band’s acclaimed EP, The Elephant in the Room released in late 2017. The latest album Animals and Angels, released June 8, 2018, is the third ep in a trilogy over the past year. Previous to that was The Elephant in the Room, released October 3, 2017, and Agents of Absolution, released April 30, 2017. All three albums explore the struggles of self-identity and self-reliance in the midst of the chaos and conflict. The band’s message is one of overcoming oppression by looking inside to discover the depth of strength needed to reclaim life. The four tracks will rock you to the core and feature special appearances by bassist and producer Joe Macre (Crack The Sky, King Friday), as well as local musician Abby Otradovec. Recorded at Studio E, Westminster, MD. Produced by Josh Clark, Westminster, MD. Mastered by Jack Braglia, Vital Mastering. Words by Chris Elliott. Music by Chris Elliott, Steve Graybeal, Eric Dee, Jerry Oxendine.